The gig economy, once characterized by blue-collar contingent employees, has recently grown with online options: drivers working part-time for Uber, nannies for hire through Care.com, and repairmen contracted by online home improvement sites. As the gig workforce evolves, so do the industries who find them useful. Gig workers are temporary contractors who have a series of part-time jobs, instead of one full-time employer. Employers may find it convenient to hire “moonlighters,” because it reduces their long-term commitment, allowing them to focus less on fixed costs, such as office space, benefits, and other traditional business resources, and more on project outcomes and results. The availability of independent contractors has grown steadily. The gig economy represents 34 percent of the total U.S. workforce and is expected to grow to 43 percent — or 7.7 million workers — by 2020. More white-collar employees are taking advantage of flexible freelance arrangements, and the marketplace is adjusting to the shift. 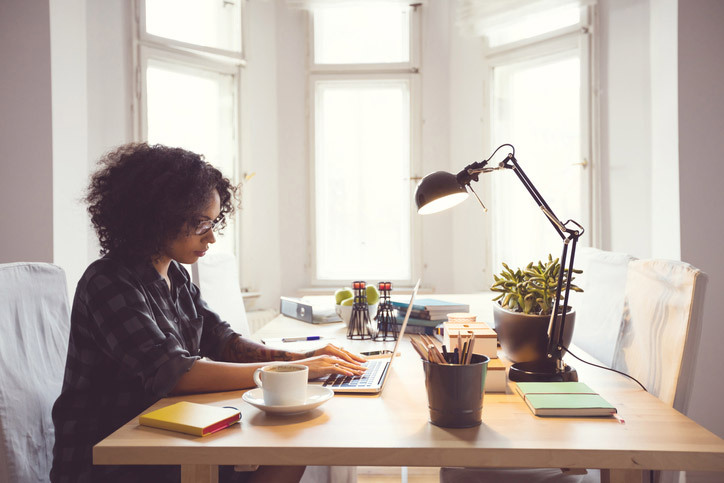 Many copywriters, content marketers and creative professionals use Upwork, an online freelancing platform, to connect with projects and companies. Although it was first used mostly by small businesses, increasingly large companies—like Samsung and Pfizer—are using Upwork to find temporary talent. Similarly, Intuit’s Turbo Tax hired more than 1,000 on-demand certified public accountants to work remotely and assist online tax filers. More and more professionals are working multiple jobs and taking on side projects. Diane Mulcahy, author of The Gig Economy, notes that these part-time contractors have quickly infiltrated white-collar industries including health care, finance, law and technology. Staffing companies have long provided a model for temporary workers across just about every industry. From the aspiring film director who supplements his income with advertising work, to the teachers who find supplementary summer work, the staffing industry has seen significant growth; finding ways to provide online options will help them to stay relevant. And while millennials are typically identified as early adopters and the largest current group of gig workers, Harvard and Princeton economists say baby boomers are embracing part-time work as a desirable retirement option. Though most traditional staffing companies have options that offer benefits including health care, paid time off and retirement, because gig workers who secure work independently are often considered contractors they are not technically employees of an organization. This raises new concerns about labor standards, legal implications, minimum wage, retirement savings, benefits, and health care coverage that is traditionally provided by employers to employees. Some U.S. lawmakers are pushing for legislation to provide portable benefits for temporary workers. The growing gig economy offers both freedom and challenges for the workplace. As economist, Linda Nazareth, said, “The policies that made sense during the Great Depression may not be a fit for the realities of the 21st century. Business owners and entrepreneurs will need to navigate these issues in the midst of market transformations, but it is clear that the gig economy is here to stay. A leading lender for staffing companies and entrepreneurs, Crestmark can help your company succeed. Call 888-999-8050 for more information.